A Special CBI Court on Thursday discharged Former Telecom Minister Dayanidhi Maran, his brother and Managing Director of Sun Group Kalanithi Maran and others in the Aircel-Maxis deal cases lodged by CBI and the Enforcement Directorate (ED). “In view of the above discussion I am satisfied that the entire case is based on the misreading of the official files, contradictory statements of the witnesses as well as speculations and surmises of Sh. C. Sivasankaran. I have no hesitation in recording no prima facie case warranting framing of charge against any of the accused is made out,” Special CBI Judge O.P. Saini observed, also discharging Kalanithi's wife Kavery Kalanithi, South Asia FM Ltd (SAFL) Managing Director K. Shanmugam and three companies- SAFL and Sun Direct TV Pvt. Ltd. (SDTPL) and South Asia Entertainment Holdings Ltd. The orders however would not impede the trial against the two accused Malaysian nationals, Ralph Marshall and T. Ananda Krishnan. 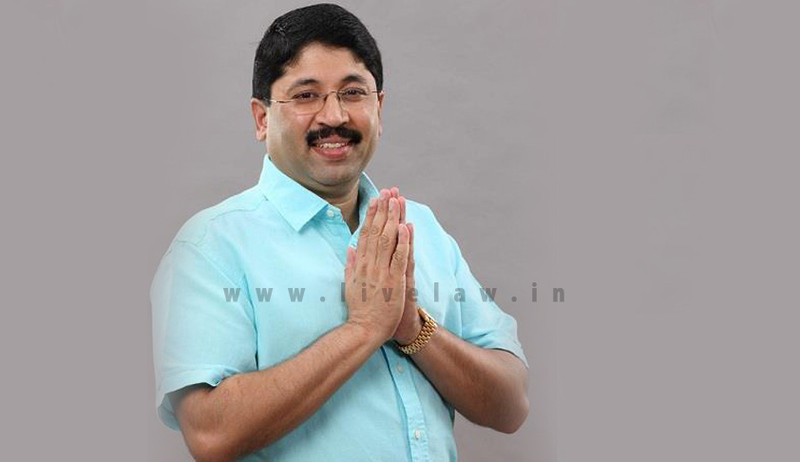 The main charge levied against Mr. Dayanidhi Maran was that he, in his position as the Telecom Minister between 2004-2007, used pressure tactics to coerce Mr. C. Sivasankaran, the then owner of Aircel Cellular Limited, to sell the company to Malaysia based Maxis Communications. The CBI had alleged that after the transaction, Rs. 700 crores was routed “as illegal gratification” to the Marans, in part through the Sun Group, which runs a media business including television channels and satellite TV services, and is headed by the Minister’s billionaire brother in Chennai. ED had therefore chargesheeted the Maran brothers, Kavery, Shanmugam and companies SDTPL and SAFL under money laundering charges, while the CBI booked the brothers, company SDTPL and South Asia Entertainment Holdings for corruption charges. More than two years after the chargesheet being filed, the Court on Thursday refused to accept the contention put forth by Mr. C. Sivasankaran, who had alleged in his complaint to the Central Bureau of Investigation (CBI) that the Telecom Minister in UPA-1 Government created “constricting business environment”, thereby forcing him to sell the Company. The Court noted that based on records contained in official files, most of these files never reached the minister, and was dealt at a bureaucratic level. It thereby dismissed Mr. Sivasankaran’s allegations that Aircel had been suffering for delay in getting 2G licenses in seven service areas. “In brief, there is no ground to presume that the business environment of Siva group was constricted or choked enough as to pressurize them into selling its companies to Maxis and that the subsequent sale was the result of pressure from any quarter including the Minister or Ralph Marshall. This allegation is based entirely on the oral statement of Sh. C. Sivasankaran, as has been deliberately extracted in detail above to make things clear and understandable. Once the statement of Sh. C. Sivasankaran is found to be imaginary and contrary to record, nothing survives under this head,” the Court observed. “He himself says in his statement that he knew that he will not get the pending approvals. Perhaps he was right because his financial capacity was suspect from the day one and there were several other allegations against his company. He further alleges that it was strangulation of Sh. Dayanidhi Maran which led him to sell 100% of his business. The record as discussed above in detail does not support this view. It were his own mistakes and deficiencies which led to the situation, which he complains about,” it added. The Judge further observed that no Minister or senior government officer would be safe if “contradictory oral statements” of witnesses are made legally acceptable. He opined that oral statements, which were used by the CBI and ED to frame charges, were a “dangerous trend” and that if it were allowed “anybody and everybody in the government can be made to face prosecution”. “It has been the case of the prosecution that such oral statements are to be accepted at the face value at the stage of charge. There can be no dispute about this proposition. However, this is not a rigid rule and depends upon the facts of the case. When an oral statement is contrary to official record, unreasonable as it does not find any support from any quarter or circumstance, and verges on absurdity, the same can be ignored and should be ignored to save the innocents from needless prosecution. Of course, in the instant case, there are so many other factors to reject the case of the prosecution, as has been noted above in detail,” the Court observed.